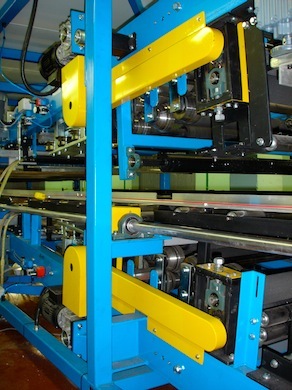 The CLASSIC Panel Laminating Line is system consisting of a single module encompassing steel processing, gluing and pressing accompanying several available modules for coil handling, panel cut off systems and other pre and post processing systems available from MDI. This provides a very compact panel machine for the manufacturing of sandwich panels with EPS, Mineral Wool and other core materials in sheet format. 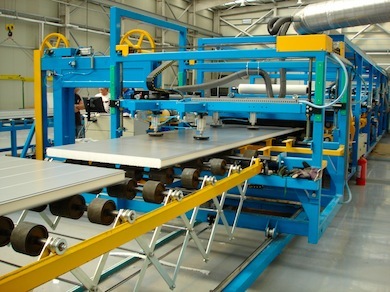 The MDI Systems Classic line is an entry level production system comprising of all main laminating, core trimming and steel forming systems in one compact unit. This system can include almost the full range of MDI options which can also be added as an upgrade including Trapezoidal Roof Panels, Secret Fix Joint Panels, Automatic Core Processing, various Coil Handling options etc, as required. 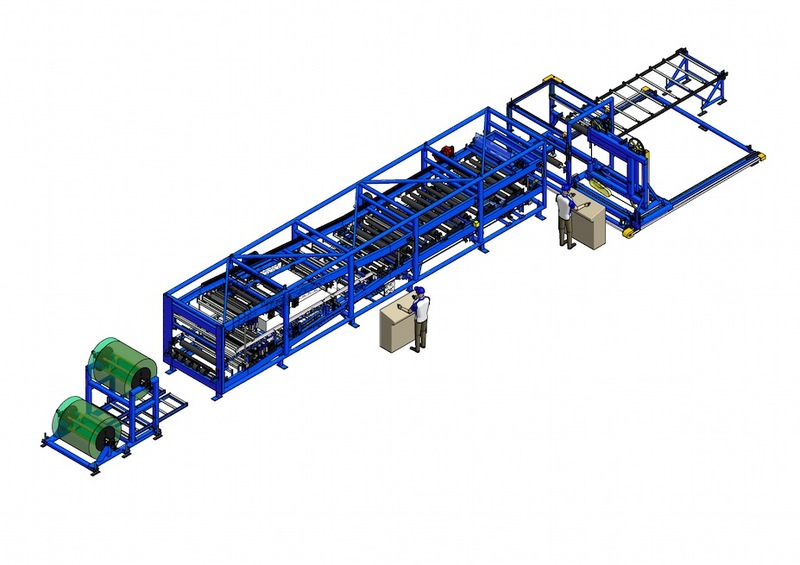 This unit needs to be combined with coil handling, a panel cutoff system and runout conveyors and an extraction system as a minimum to be able to produce panels. Please refer to sections on these items to complete the Classic Panel Machine to be ready for panel production. Whilst this system is very capable and comparable to other systems on the market the MDI Full Line Panel Production System should be considered for high volume production of secret fix, special roof and mineral wool cored panels particularly for the architectural market. Materials Handling and Automation Systems - pending the lie specifications the system can include a range of automation and material handling options including panel stacking, core loading, roof panel upgrades, etc..